Tired of Romans? Bored with Victorians? Had enough of the Home Front? 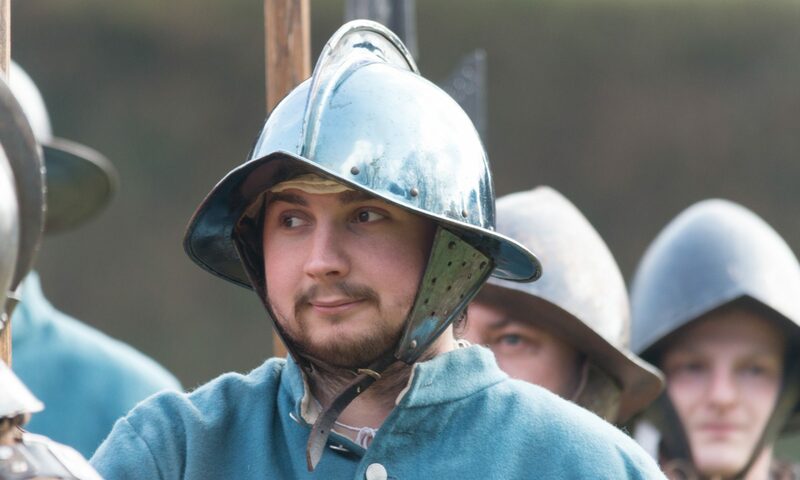 Then you need a change of historical scenery – why not try the English Civil Wars? From 1642 until 1651 Britain was consumed by vicious civil wars, as a rebellious Parliament fought to limit the power of the King. Communities and families were split down the middle, brothers and friends faced each other across battlefields, vast areas of the country were fought over, and hundreds of thousands of lives were lost through hunger, disease and battle. No part of the country escaped and we still live with the legacy of those bloody years. The period is an excellent subject for a KS1/2 local history topic, and contains all of the ingredients for a KS3 British History study. With a range of activities and experiences to suit your needs, our fully costumed volunteers can bring a piece of the seventeenth century out of the textbook and into your classroom. The Sealed Knot is a long established educational charity, whose aim is to promote awareness of this turbulent period in British history. Contact The Sealed Knot Learning team for more information.